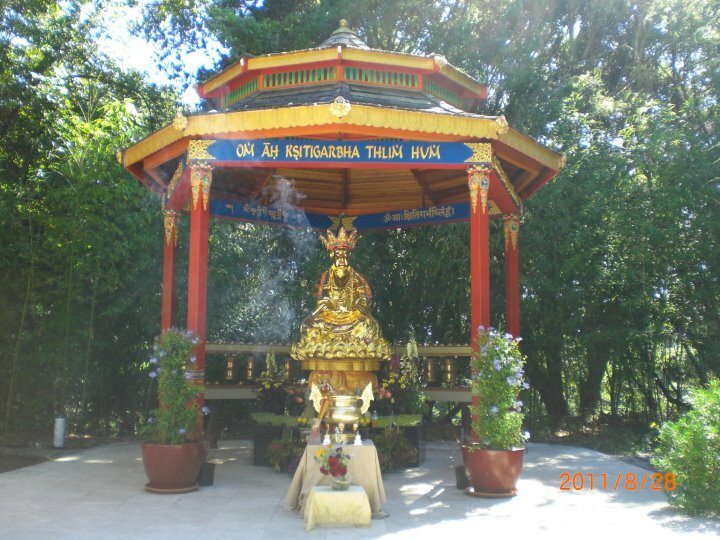 Just up from the main campus, you will find a few parking spaces, another prayer wheel, a big bell, a gong, a large image of Ksitigarbha under a gazebo surrounded by small prayer wheels. Drive up via the Tara Redwood School (watching carefully for kids). Drive down past the pool.